Solange pulled up her chair and is now sitting at the top of the Billboard 200 chart. Just a week after being released, A Seat at the Table gave Solange her first Billboard 200 hit. 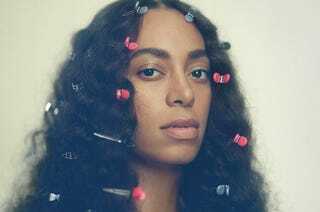 According to Billboard, Solange's album moved 72,000 copies in the first week of release, with 46,000 of them from traditional album sales, which catapulted her to beat Bon Iver’s release, 22, a Million. Solange and her sister Beyoncé now join other sibling pairs, such as Michael and Janet Jackson and Master P and Silkk the Shocker, who have recorded No. 1 records.